Boulevard Voltaire is one of Paris' main avenues. 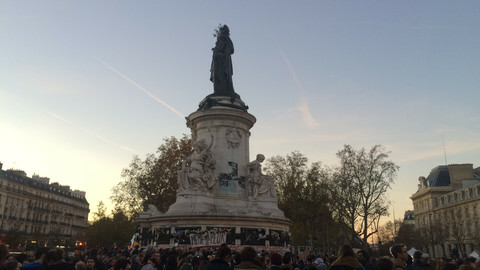 It symbolically goes from the Place de la Republique to Place de la Nation. On 11 January, thousands of people walked down the boulevard, silently protesting against the killings at Charlie Hebdo magazine and in a Jewish supermarket a few days earlier. On their way, they passed the chinoiserie-style facade of the Bataclan theatre, a popular concert venue. In the days after the attacks, many of them bought Voltaire's Treaties on Tolerance, which topped book sales. This Saturday (14 November), the boulevard Voltaire is closed 500m down from Place de la Republique, and police vehicles can be seen in the distance, in front of the Bataclan. The night before, at least 80 died in the theatre and many were seriously injured when four gunmen burst into a rock concert and shot at the 1,500-strong crowd with automatic weapons. 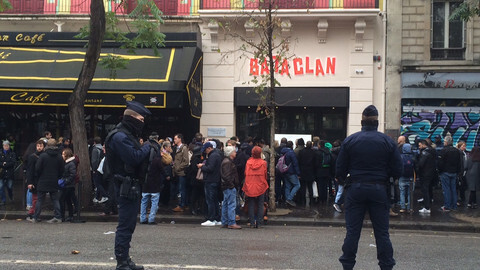 In three other places in the French capital, close to the Bataclan, other gunmen shot 36 people sitting in restaurants and bars. Earlier, three bombs exploded outside the Stade de France where France was playing against Germany in front of 80,000 people. One person was killed, as well as three suicide bombers. On the boulevard Voltaire and in neighbouring streets, people gather next to the safety barriers and look into the distance, where the massacre can barely be conceived. Some put flowers at the foot of barriers, others take pictures, few talk. People coming and going silently look at each other. The atmosphere is one of common bafflement and collective grief. 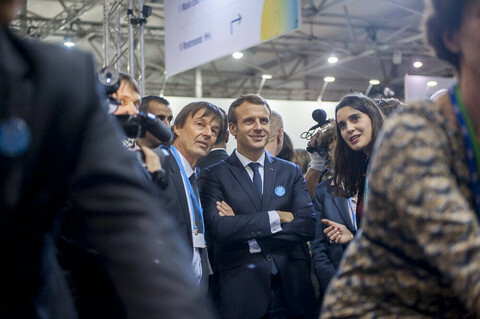 "I came because I feel attacked myself, in my values and my way of life," Melodie, a lighting technician in her 30s who laid a bunch of flowers, told EUobserver. Melodie needs a coffee. She also needs to talk. "Now we have to stay strong," she says sitting on a nearby terrace, in a gesture to show that life must go on. "This is a kind of madness, an alienation. I don't understand how one can have so much hatred against the integrity of our values of liberty, tolerance, trust and sharing," she says. "The atmosphere is heavy. But I also saw couples today, and that is the best way to fight theses ideas. We have to live." 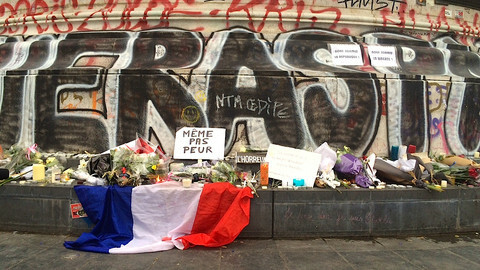 A 10 minute walk from there, traces of the violence and the sorrow are more visible. Rue de la Fontaine au Roi, where at least five people were killed and eight very seriously injured in an Italian restaurant and a cafe nearby, both now scarred by bullet holes. 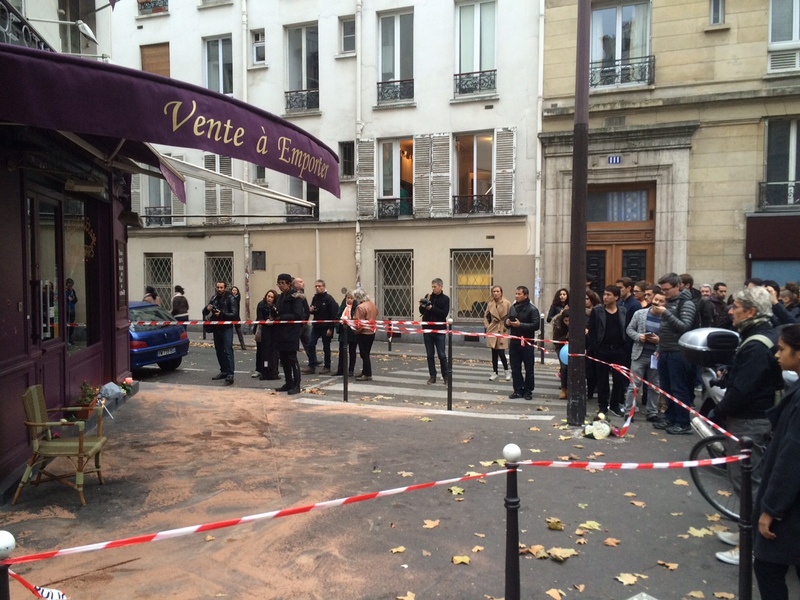 The street is not closed and one can come close to the terrace, where the sand is not enough to cover the blood stains. A chair outside is like a tragic vestige of a lively Friday evening. Some people silently cry, others stand-red eyed. Here also flowers are also being laid. In front of the cafe, a young man, in fashionable clothes and an almost-shaved head, has put flowers and a written sheet of paper on the pavement. He kneels for a long time and leaves in tears. No one dares to ask him questions. Despite the state of emergency, few police and no army personnel are visible on the streets. The officer says that "tension is tangible. People are sad, unhappy." But as in January, many come to thank the police for their work. Under the state of emergency, public gatherings are forbidden until next Thursday (19 November). Place de la Republique, were thousands of people spontaneously converged after the attack on Charlie Hebdo, on 7 January, is almost empty. Regularly, a police car with loudspeakers asks the small crowd to leave the area. On the other side of the square, three teenage skateboarders add a lighter touch. 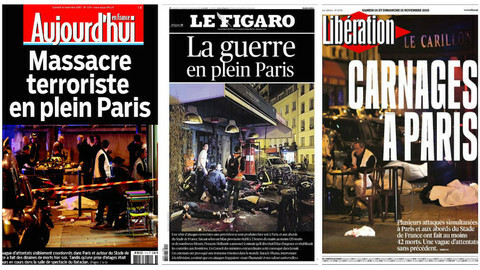 In January, French people felt the attacks were against press freedom, freedom of expression, and tolerance. They were against their collective values. Friday's attacks were against entertainment and spending time with friends. Against living a normal life. Many feel that, contrary to January's victims, when journalists and Jews were mainly targeted, Friday's victims were every kind of Parisian. "They could have been any of us. They died simply because they went for a drink, for music, or to meet friends. 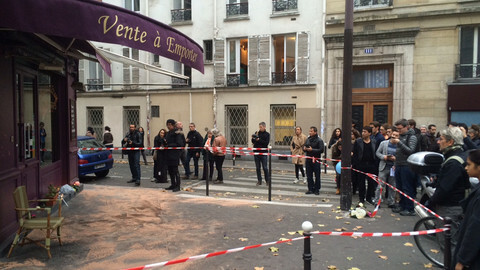 This is pure terror," says Vincent, a student who came to pay respects to the victims. "More than 120 children of the Republic have died. But we are 65 million and we will stand," he says. About 3 million people marched to defend the Republic and its values after the January killings. But 10 months later, the country endures its worst loss of life since the Second World War. First investigations indicate it was perpetrated mainly by French jihadists. Around 1,600 of them went to Syria and Iraq, feeding concerns over a widespread radicalisation among young people, including girls, of immigrant background. Despite calls for dialogue and integration from all sides, Islam and immigration remain controversial issues in France. Public debate is led by figures whom critics describe as rightists and as xenophobic. Far-right leader Marine Le Pen did not suffer from refusing to join the national consensus after the January attacks, and she benefits from the inner tensions in French society. She is very likely to be in the second round of the next presidential election in 2017. Her National Front party was expected to win several regions in next month's regional elections. 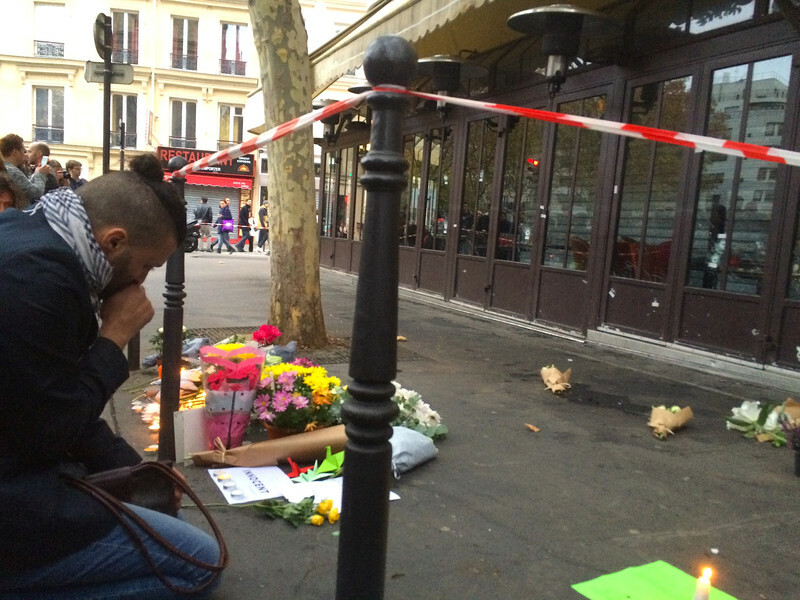 FN's results could now benefit from Friday's killings. With the three days of national mourning declared Saturday morning and the state of emergency preventing gathering, no march is expected soon. But it is difficult to see the same kind of spontaneous unity happening this time. "The march after Charlie has had no effect. Now I don't expect much progress," Vincent says. "But I hope decisions will be taken this time." Meanwhile, the authorities reacted with strident terms to the attacks. "It is an act of war that was waged by a terrorist army, a jihadist army, by Daesh, against France," president Francois Hollande said Saturday, using the Arabic name for the Islamic State group. "It's an act of war which was prepared, organised, planned from the outside with help from the inside," he said. "We are at war. Therefore we take exceptional measures," prime minister Manuel Valls said in the evening. In the short term, French people were advised to stay home and many public venues were closed Saturday, including Paris museums, swimming pools, concert halls, main department stores and some cinemas. In the Paris metro, passengers do not look stressed or fearful. But they are much fewer than on a normal Saturday afternoon. In a metro station corridor, a poster for an art exhibition takes on a peculiar meaning. “Being here is really huge,” it says. 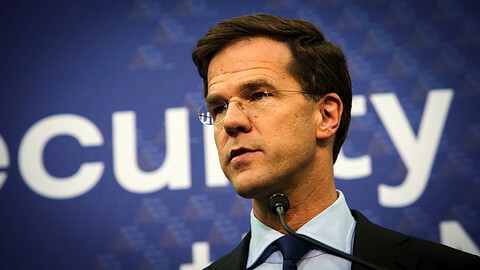 Dutch PM Mark Rutte has said Europe must protect its "way of life" from terrorism and must get Turkey to halt refugees, as The Netherlands prepares for its EU presidency. Police raids in France and strikes in Syria after the deadly Paris attacks show French authorities have to find internal and external strategies against terrorism.